1. What can I expect from Get Racing? 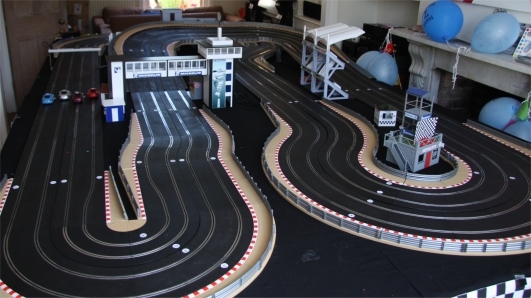 We will provide and assemble the track, scenery and tables required to build the circuit. 2. Who will manage my racing event? maintain and run your event, this will include a short training session for all racers. 3. What will I need to provide? You will need to provide a suitably sized (normally 2m longer and wider than the track size) covered area, a marquee can be provided if the event is outside. We would normally expect there to be an electricity supply, but can provide an alternative power source if required. 4. What areas of the UK does Get Racing operate in? Get Racing in based in Uxbridge West London and covers England and Wales. 5. How much will hiring a track cost? Prices are dependant on length of hire and your exact requirements. We aim to cater for all budgets and are happy to do charity events. For a quote p lease contact the get racing team with your requirements. 6. Does Get Racing have a CBR check carried out on its staff? Get Racing is run and staffed by people who are cleared to work with children. 7. Does Get Racing have insurance? Get Racing has public liability insurance to cover us while running your event. 8. How long should I allow for an event? This is up to you but we recommend a minimum of two hours for upto 24 people racing. 9. How would a party be structured? Get Racing offers different racing events that can be tailored to meet you exact requirements. 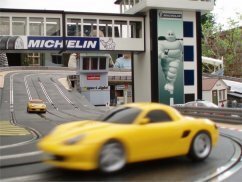 These include Team events, Knock out championships, Time trials, Top Gear style leader boards and Tournaments. For details of how your event can be structured please contact the get racing team.